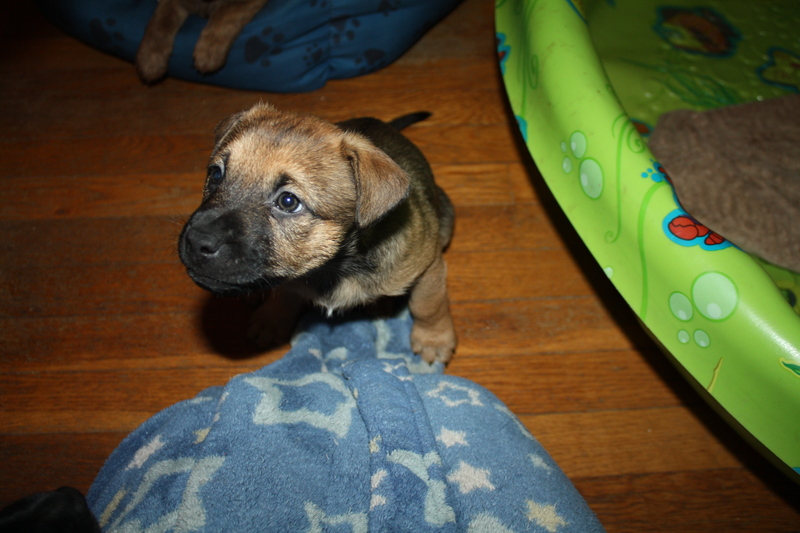 Bertha was born on 1-28-15 and is looking for her forever home. She weighs 8 pounds and is up to date on puppy shots and microchipped. She will come with a spay at 6 months contract. Bertha’s mommy is a Min Pin mix we rescued from a shelter in NC. We have no idea who her daddy is. Bertha is a beautiful brown with black markings.